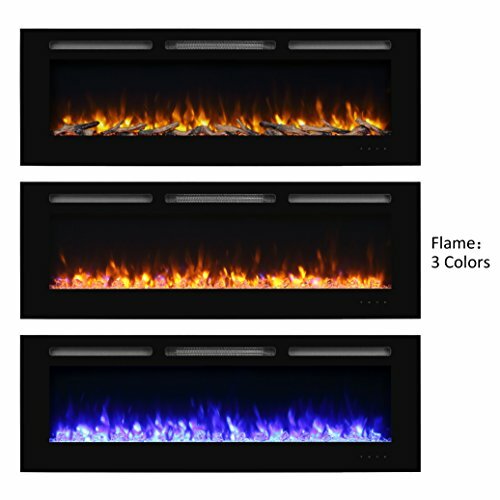 Warm up your living room or light the fire in your bedroom with this fake fireplace – don’t be bored – bask in the afterglow! 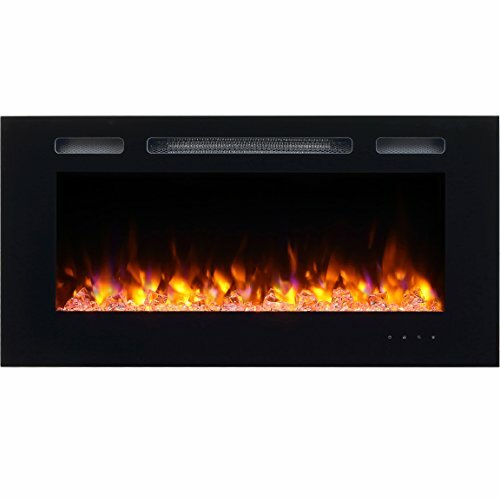 It’s a shame because the PuraFlame Fake Effect Electric Fireplace is a fine contender as an idea to bring some warmth, charm and a focal point into cold living rooms. 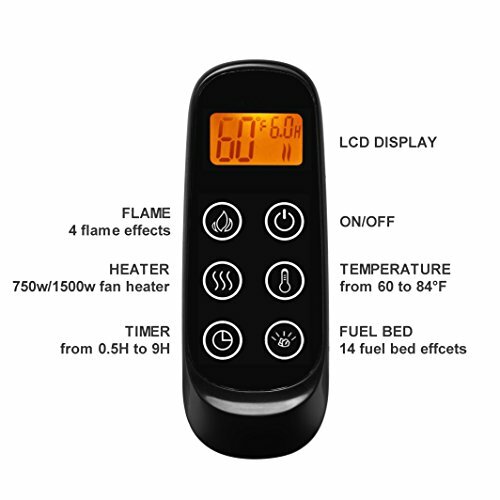 The fake effect electric heater has two settings, low and high – set your speed as you please. A two-speed fan is provided to quietly blow you. The fireplace is provided with crystal stones (they’re going to suit the yoga lovers) or logs effect accessories (which look much more realistic). 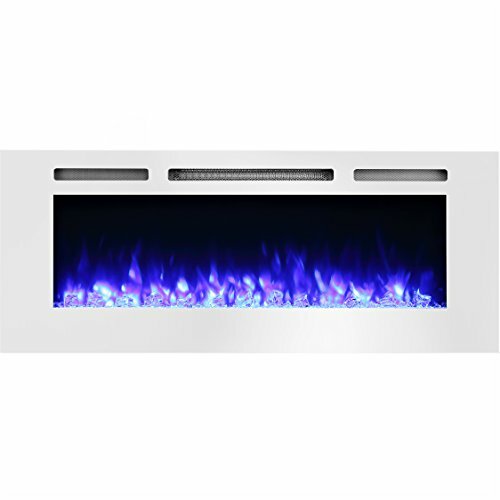 Ultra High-Intensity LED flame effect bulbs to provide a very bright and realistic fire effect. These can be set for ultra cool Mr Blue, subtle yellow lurking with a hint of blue, plain and simple all yellow, or mysterious orange. Actually, there are other colours in the mix – seemingly more with the crystal rock options. 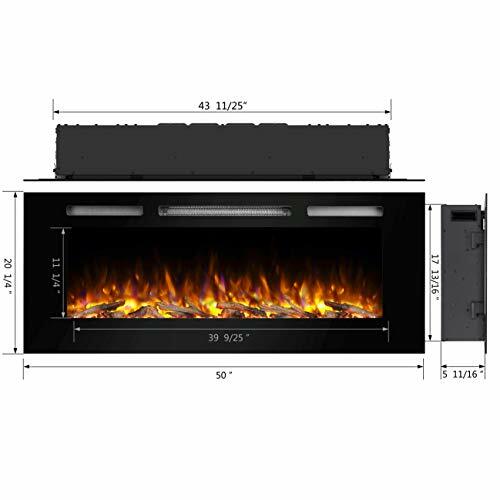 The electric fire will fit into a 6″ recess which you can form with stone or brickwork or some other architectural texture. It can be hardwired or simply plugged into the wall – but we’re not sure who wants to spoil the effect with cables and plugs visible so don’t do that. Thermostat control and remote controls together with a touchscreen on the unit itself make it convenient. Great colours to provide ambience. Recessed makes fitting the unit relatively easy and gives an opportunity to texturize part of the wall for better and flexible interior design. Relaxing whilst providing a focal point to the room when the telly is not on. Mood setting – definitely an X-factor.